With the blessings of Sri Sri Tridandi Chinnajeeyar Swamiji, Mahila Arogya Vikas team conducted a medical camp on 04.12.2016 at Ashta Lakshmi Temple Community Hall, Kothapeta, Hyderabad. Four patients who received treatment and got cured from the chronic infection expressed their gratitude to HH Chinnajeeyar Swamiji for conducting free health checkup camps. 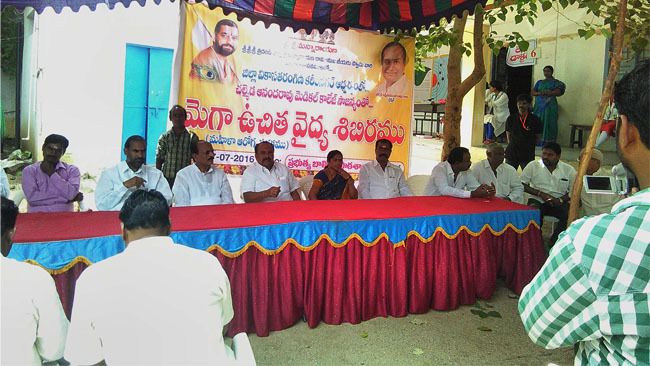 Smt Suneetha Madiraju, Arogya Vikas Coordinator organized the camp. 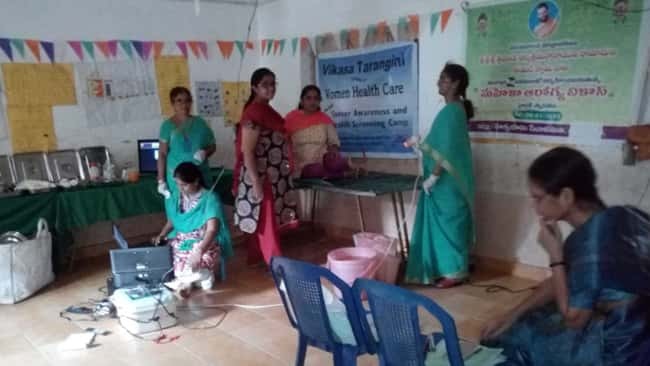 Arogya Vikas trained volunteers Smt Padmasri, Padma, Usharani, Sujatha, Vasundhara and Andal rendered their valuable services and helped in performing the sterilization procedure during the camp.